It is very easy when we hear people complaining about speed limit enforcement, to assume that the person complaining is somehow irresponsible, liking to drive faster than is safe. We hear it a lot. When we delve a little deeper however, whilst there are inevitably a tiny minority of this ilk, the vast majority including all of us here in the ABD fully support enforcement against anybody who drives faster than is safe. The issues they have are invariably with the way enforcement is targeted, and many are very angry indeed that it appears all too often to be targeted at the safe, sober, responsible driver on the safer stretches of road where the limit appears unreasonably low to a significant number of drivers, and perhaps worse still, those speeding in dangerous places are not targeted at all. Well the problem with current enforcement is that it incentivises targeting at high revenue sites. This isn’t just to make profit, it is also because empires that are self-financing and self-perpetuating have been encouraged by government policy, With no fine income, the empires die. When vehicles, equipment and staff have no income stream financing them, they simply die out. 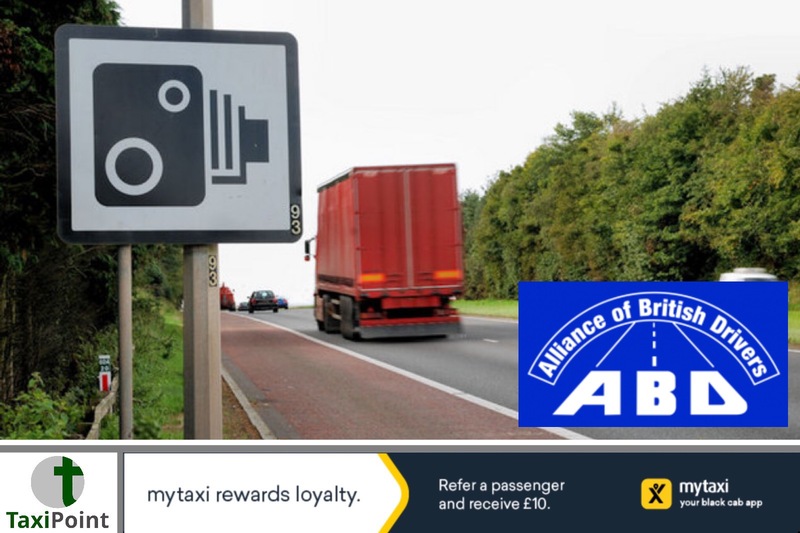 Targeting areas where the majority of drivers sense danger and therefore slow down is not viable because although those caught would be the ones everybody wants them to catch, the numbers are lower so it is not financially viable. Well it’s two-fold. Firstly we could take the financial incentives away by sending fine revenue directly into the tax system and fund ‘safety partnerships’ directly from government, rewarding them for casualty reduction only.Secondly, if limits were properly set then there would be no unreasonable limits for the ‘safety partnerships’ to target. All the arguments about enforcement would simply go away and the authorities would return to being respected and supported by everybody, something nobody would argue was currently the case.So, how do we get limits right?Well we need to depoliticise limit setting. Take it out of the hands of local politicians who, although often well meaning, are unqualified on the subject and are also often keen to go with whatever they think will win them votes. There needs to be a national policy on the setting of limits and they need to be in the hands of qualified experts. There is a system which we in the UK abandoned a few years ago which set limits using a method proven all over the world to maximise safety. It is called the 85th percentile rule. Put simply it measures the speed of free-flowing traffic on a particular road in the absence of a limit. The limit is then set at a speed below which 85% of drivers naturally choose. There are exceptions but as a broad principle this method creates limits which earn respect and are respected. Using this method would raise some limits and lower others. The ABD calls for an end to the current unsustainable fiasco and a reintroduction of the 85th percentile. It saves lives, increases respect for the enforcement agencies and gives smoother traffic flow. There really is nothing not to like.And what else needs to be done on speed?Limits are far from the only tool in the box. Setting one’s speed safely to the conditions is probably the most vital skill a driver needs to master. But it isn’t about numbers. It is about looking ahead, well ahead, observing potential hazards and continually reappraising one’s speed. Put simply, the main discipline is to ‘always drive at a speed where you can safely stop in the distance guaranteed to be clear’. It is virtually all that matters and needs to head up all education campaigns. When, however did you last hear these words? Did you ever hear them from anybody in the speed management business or authorities?